Search engine optimization (SEO) is a technique which helps search engines find and rank a site, among the millions of sites utilizing similar keywords and phrases. Users tend to visit sites near the top of search engine rankings, so good placement is key to success on the Internet. In 2012, JM began offering SEO services to our Omaha customers to help them market the beautiful websites we were giving them. At that time, House of Mufflers and Brakes was not being found in the search engine for this keyword/phrase. After 12 keyword-focused blog posts, updating the website’s tags, titles and descriptions, and careful monitoring of progress on Google, they are now #1 on Google for auto service Omaha. They have held this ranking since February 2014, but continue to see success at #1. 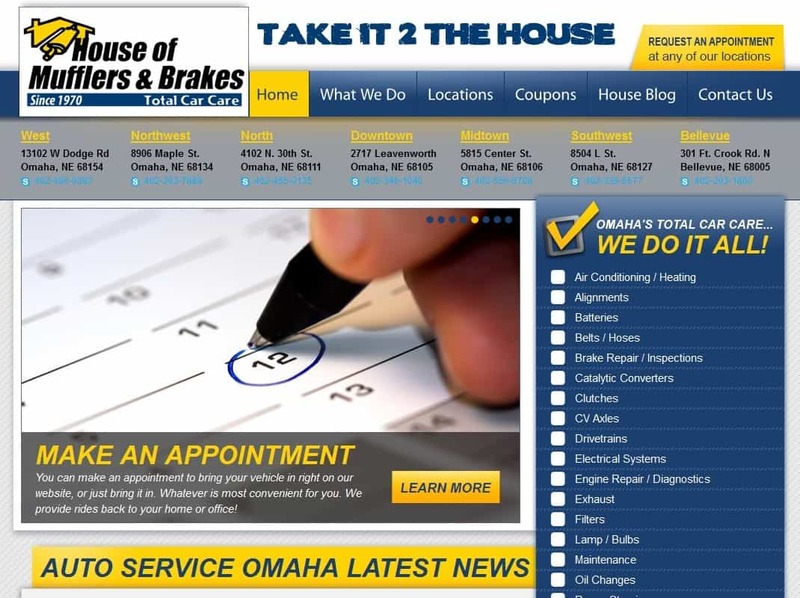 We are excited to help contribute to the success of House of Mufflers and Brakes, and we know that their new-found SEO success will help this family-owned Omaha business grow and better serve the community. Innovative Med Tech is a nation-wide company which provides solutions for capillary collections. Marketing to medical professionals requires a certain level of professionalism and credibility, so a new website design was definitely in order. Best Carpet Cleaning and Restoration in Omaha needed an online presence that would help it stand out from the competition. Through an updated design, clear call to action and easy-to-find service list, our design team is confident that this new website design will help Best Carpet bring in prospects. Well-known Omaha office furniture supplier, BOLD Office Solutions, needed an online image update. With so much competition in the furniture market, BOLD decided that sprucing up their website design would be a helpful way to stand out from the rest of their online competition. Long-time JM client Papillion La-Vista High School, located just outside of Omaha, recently worked with JM to launch a new and improved website. Several years ago, PLHS work with our team to produce a custom website design with a custom content management system (CMS). After years of using the website to its full potential, PLHS decided a design and CMS update were in order.